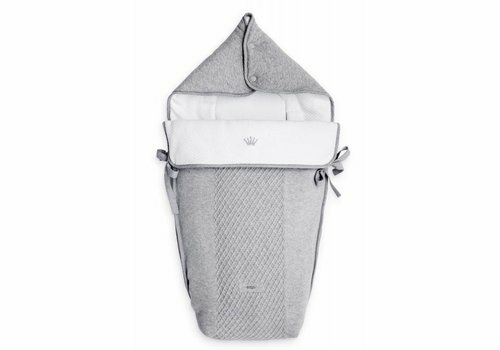 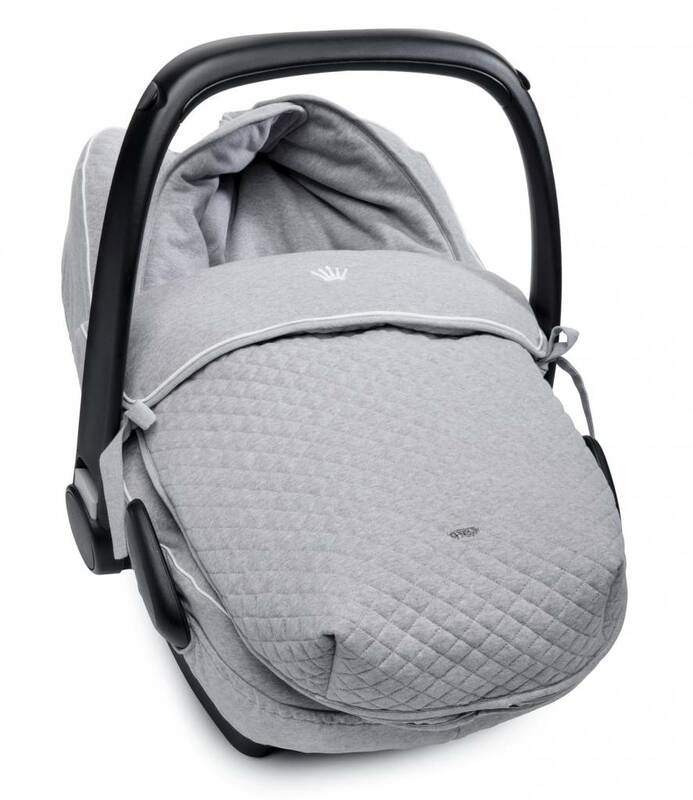 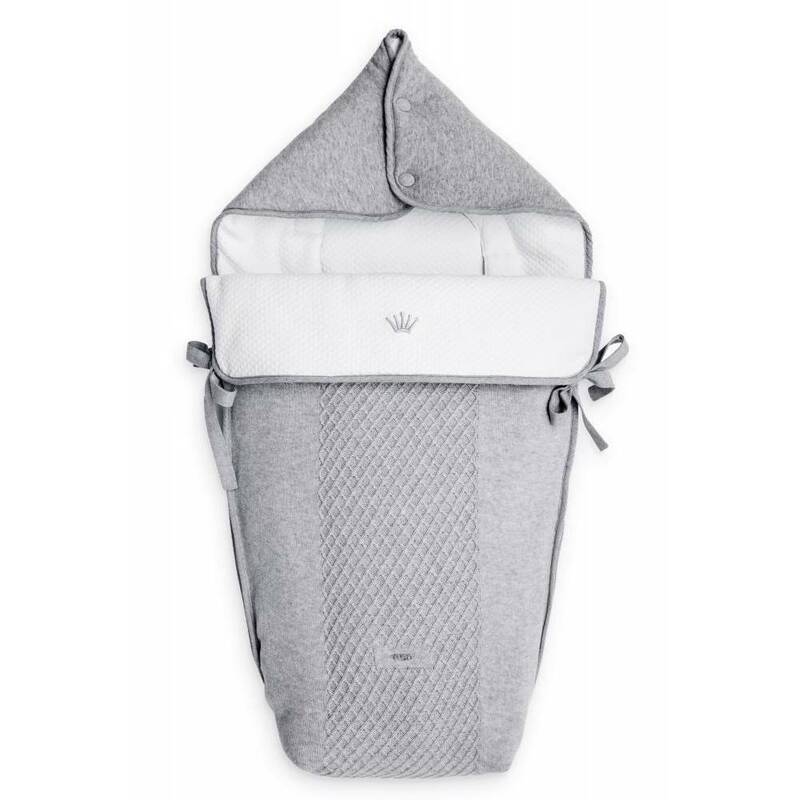 Grey knitted FIRST baby nest for pram lined with white waffled jersey. 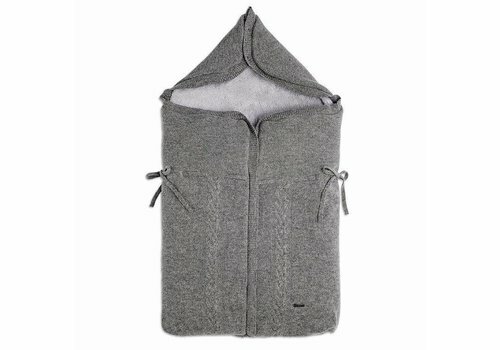 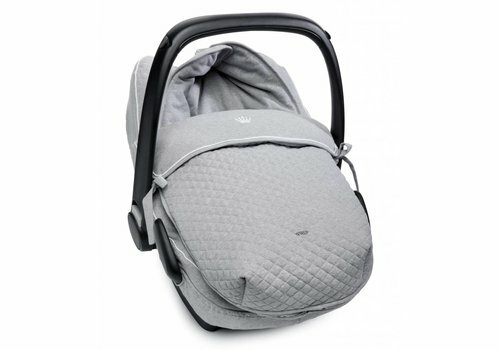 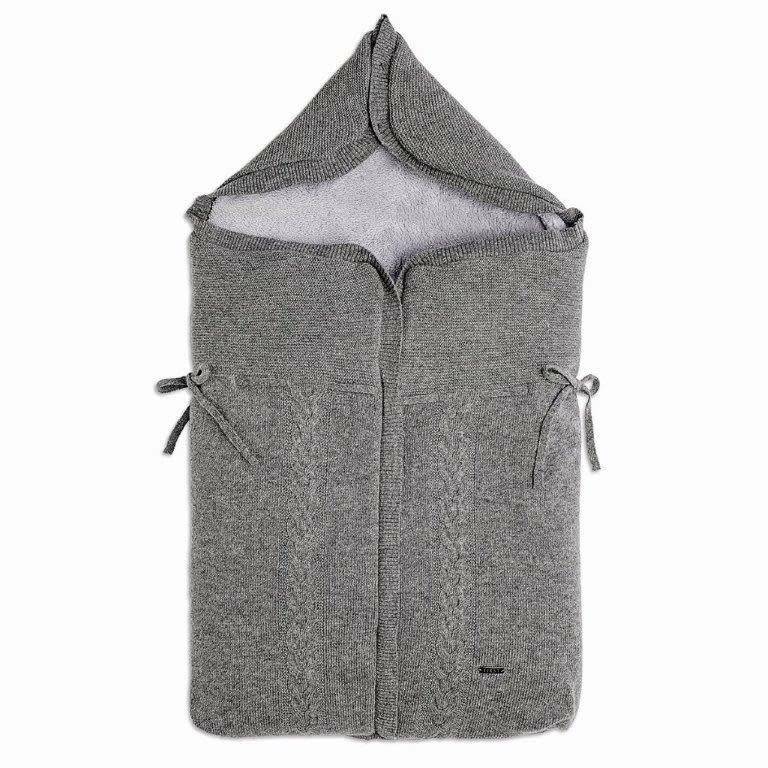 Grey cotton knitted My First Collection baby nest with light grey teddy lining. 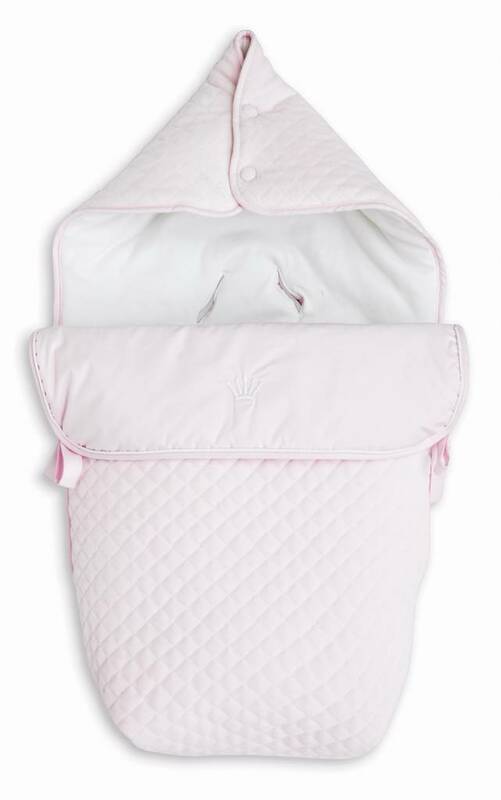 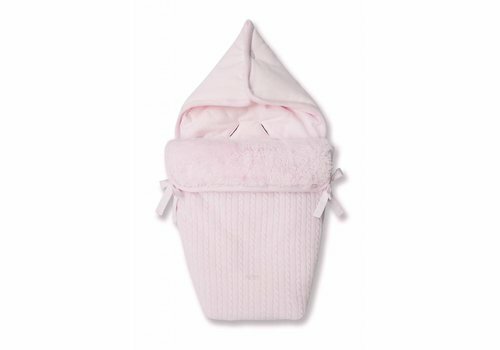 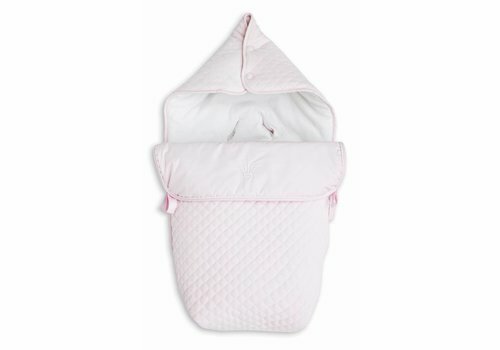 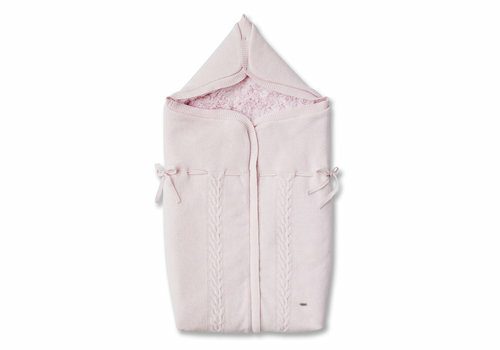 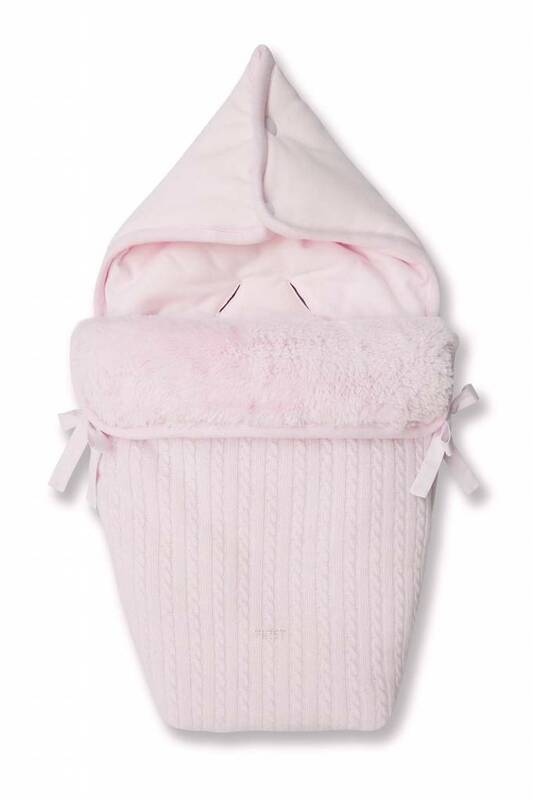 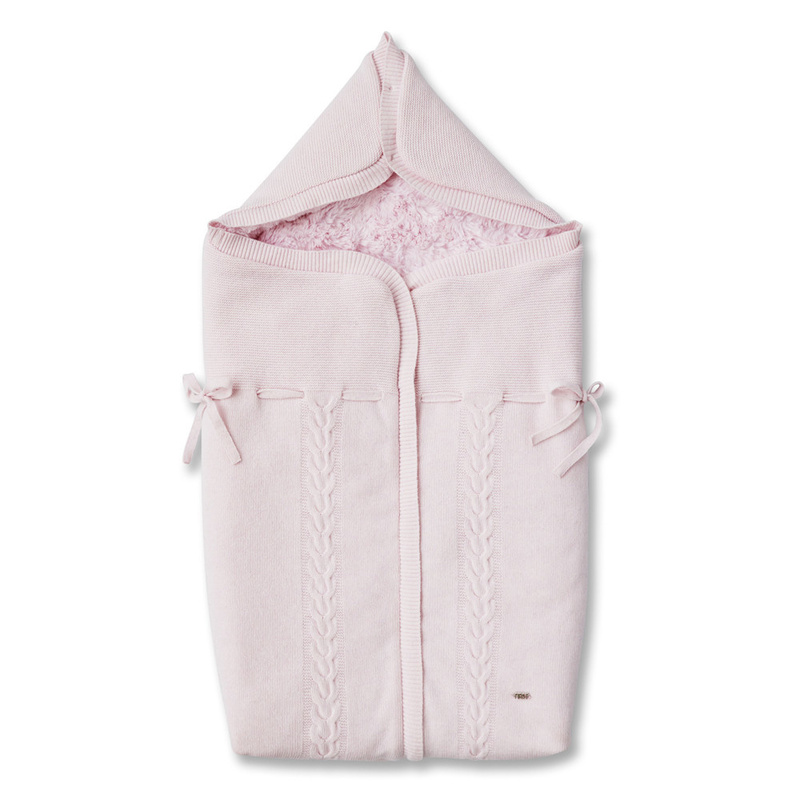 Pink knitted My First Collection baby nest in wool & cashmere, lined with pink coton jersey, finishing with pink fur.